Welcome to the newsletter for 3/29/19. We send out a newsletter every week on Thursday evening Pacific US time. If you got a link forwarded or shared by a friend and you’d like to get the actual email notification in your inbox so you don’t miss a newsletter, just sign up here. 1) What’s the difference between the paleo diet and clean eating? This week’s brand new blog is the first in a series of blogs comparing clean eating with other diet philosophies. We’re starting with paleo. You’ll see a side-by-side comparison showing you what foods are typically part of each diet and which are off limits, variations you may see, and the underlying philosophy of each diet. 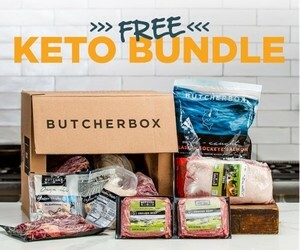 Next week, we will likely cover keto. 2) 28 Days To Clean – New book coming soon! REMINDER: I’m writing a book! If you’ve been on this newsletter for more than a few weeks, you probably saw that I’m writing a book called “28 Days To Clean” and I asked for volunteers for a test group. Well, we are now on week FOUR of that test group! It’s almost done. I can’t wait to share this with you. These are so awesome for meal prep. Just make up a bunch of them at the beginning of the week. previous post: Clean Eating vs Paleo Diet: What Are The Differences? next post: Clean Eating vs Keto Diet: What Are The Differences?